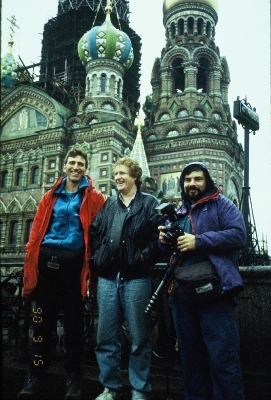 Главная \ How it all began \ 1989 \ aka "Buka"
Legendary Soviet (USSR / Kazakhstan), high-altitude climber. "Snow Leopard" (1985). Honored Master of Sports of the USSR (1991). 11 times of 8000-conquerer, with 18 climbs on them (the record for the CIS). Guide and consultant to the ascent to high altitudes 7000-8000 m, photographer and writer. Since being 12 years old he started to climb on the low hills of the Ural Mountains around native Korkino. As a student goes in the summer to the south and makes climbing on his first three/Four thousand peaks in the mountains of Kazakhstan and Kyrgyzstan. and parallel walks in the mountains. In the national team of Kazakhstan wins his first seventhousanders in the Pamirs. 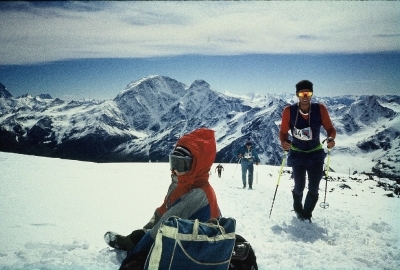 In 1987, Buka commits a single high-speed ascent of Peak Lenin in the Soviet Union and became the founder of the new tactics ascents. In 1989, the fall of the Second Soviet Himalaya expeditions and the first in the world performs in the group of four vertices traverse eight-Kanchenjunga in the Himalayas. Candidate in masters of sport becomes MSMK and receives Order of USSR «For personal courage". 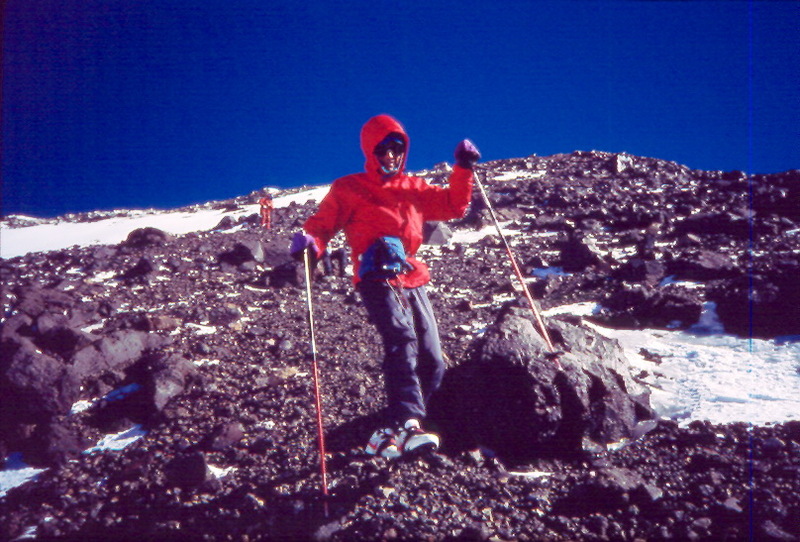 In 1990 he was invited to the U.S. to climb Mount McKinley in Alaska (again in 1993), made many friends in America. In May 1991, in the first Kazakh Himalayan expedition goes on Dhaulagiri, and the fall of conquering Everest, which rises and then three more. He was awarded the title of Honored Master of Sports USSR (1991). After the collapse of the Soviet Union he accepted Kazakh citizenship and continues in the 90-ies successful, often solitary, climbing in the Himalayas and Karakoram, operates high-altitude guide and consultant to many foreign expeditions. 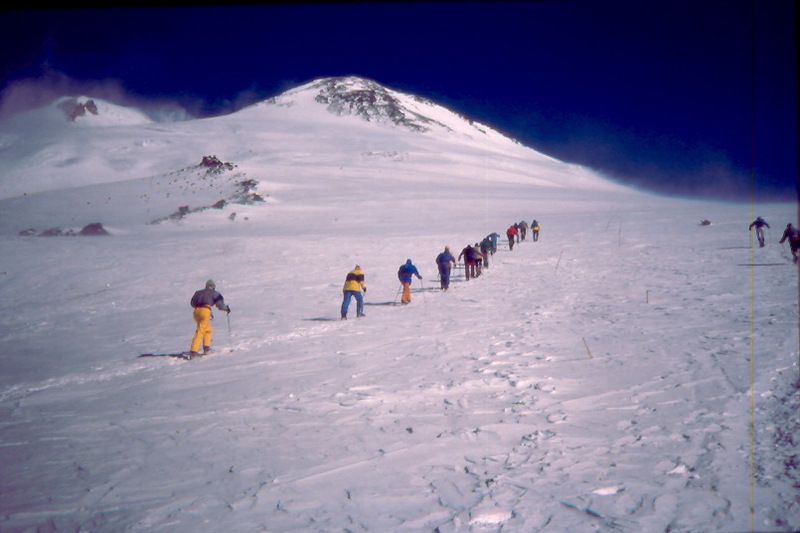 June 30, 1995 at the peak of mass alpiniade Abay (4010 m) in the Trans-Ili Alatau is a personal guide of President Nazarbayev. 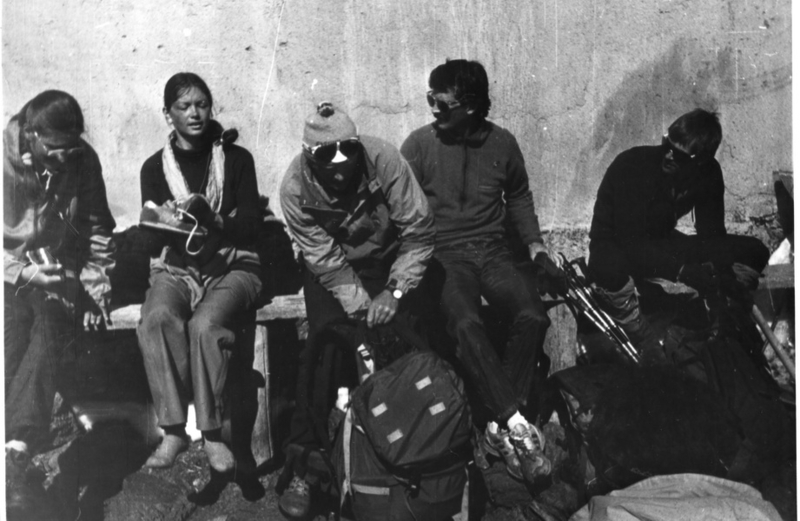 Participated in the Second and Third successful Kazakh Himalayan expeditions to Manaslu and Cho Oyu in 1995 and 1996. A Eight-alone conquers Lhotse, Shisha Pangma, Broad Peak, Gasherbrum II ... and becoming one of the strongest climber of the World. It should be noted that Boukreev fundamentally did not use oxygen at high altitude ascents. He used them only once at 1989 when doing traverse of four peaks of Kanchenjunga. The Soviet government demanded a guarantee of success of the expedition and the obligation to use oxygen cylinders was not discussable point. He managed to climb 11 of the 14 8000 summits,having 18 ascents of peaks above 8000 meters. 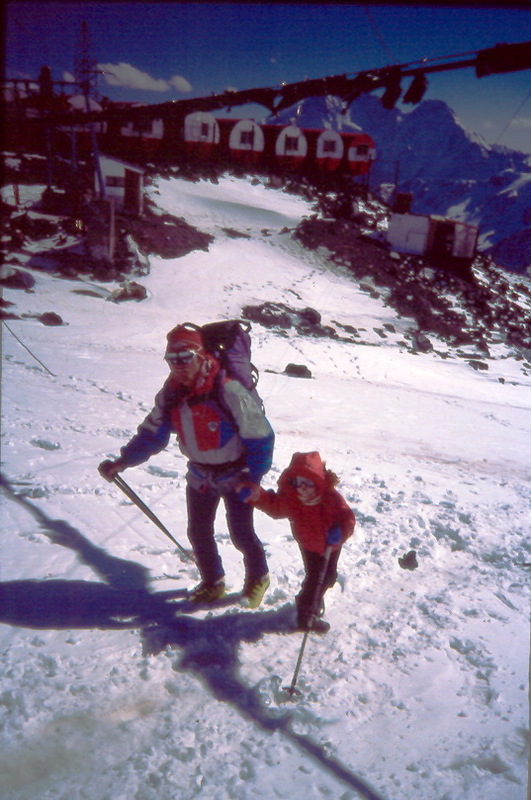 He was holder of the official World record climbing 5 of 8000 peaks within 12 months. : from 17 May 1995 to May 17, 1996 he had climbed five peaks: Everest, Dhaulagiri, Manaslu, and Everest-Lhotse again! And his last 6 peaks he climbed altogether within10 months! 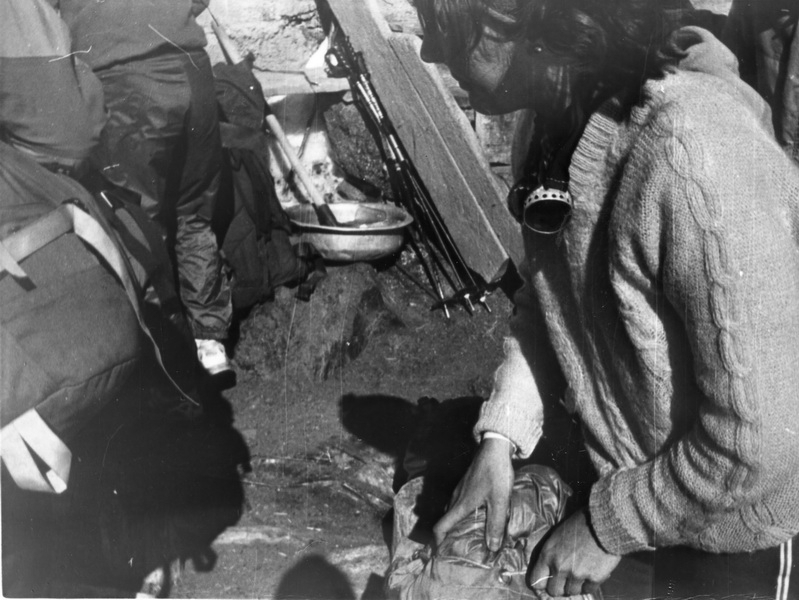 1987 - first in the Soviet mountaineering speed ascent of Lenin Peak on the northern slope of the base camp (4200 m) to the summit (7134 m) for 8 hours. 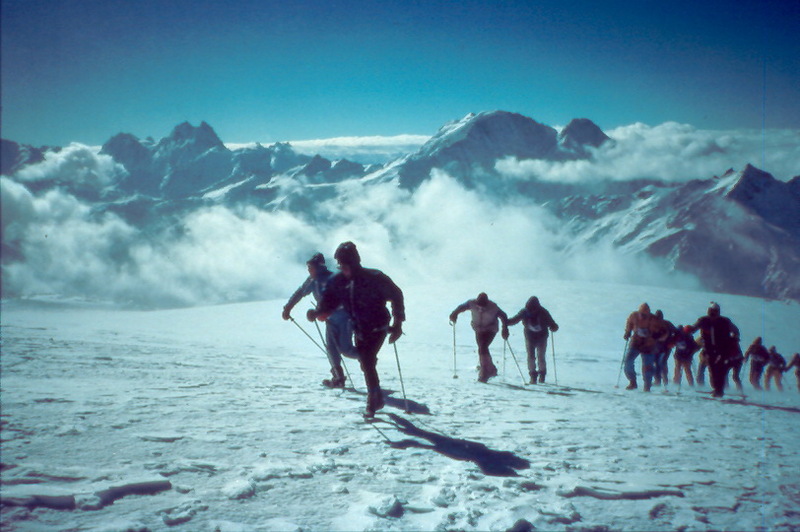 1987 - high-speed ascent on the peak of Communism from a height of 6600 meters almost to the summit (7400 m) for 1 hour 27 minutes - took first place in the selection of the Second Soviet Himalayan expeditions. 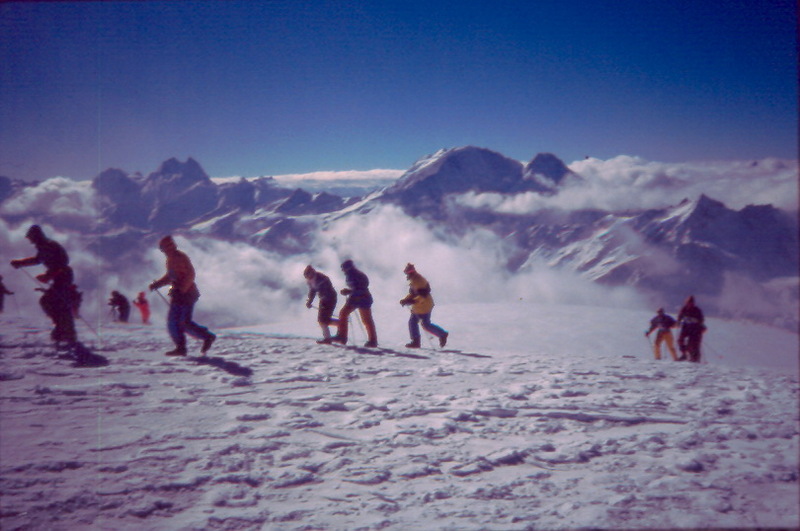 1987 - high-speed ascent of Elbrus from the height of 4200 m to 5200 m mark in 1 hour 07 min. - Again first among the candidates in the Himalayan team. 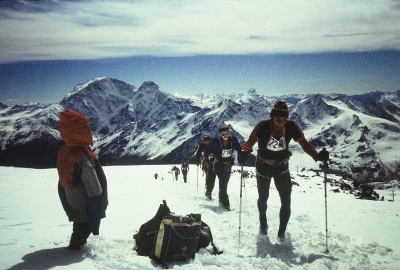 1988 - first traverse the three peaks of Pobeda Peak (West (6918) - Home (7439) - Eastern (7060) and the peak of the Military Topography (6873), in the USSR team in the Himalayan training. 1990 - a winner on the speed climb of Elbrus from Refuge Eleven (4200) to the east summit (5621), his best time of 1 hour 47 min. 1990 - in August, made the first solo speed ascent of Pobeda Peak (7493 m) from the glacier to the summit for 36 hours (in winter in the bad weather he stopped just before the height of 7050 m), then the first speed solo ascent of Khan-Tengri peak (7010 m). 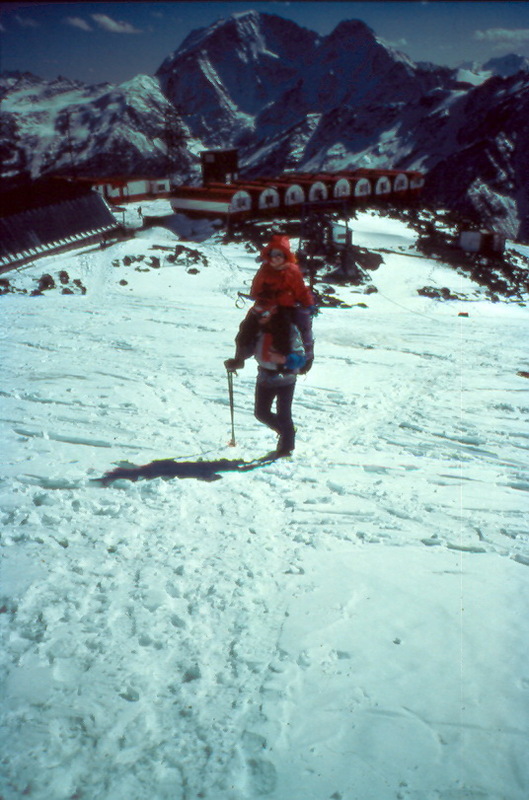 1993 - McKinley (Denali, 6,193 m), with 70-year-old client. 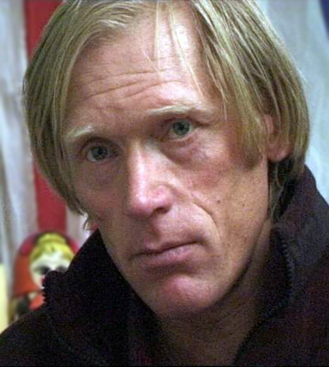 Anatoly Boukreev was killed Dec. 25, 1997 by avalanche along with the Kazakh cameraman Dmitry Sobolev during winter ascent of his already 12-th eight-Annapurna, accompanying the renowned Italian climber Simone Moro. At an altitude of 5700 m Bukreev Moreau installed railings when above them suddenly collapsed snow cornice that led to the sudden avalanche. Al'pinistiv boldly from the mountain, Simone Moro, escaped by a miracle, traveling with an avalanche of up to camp I at an altitude of 5200 m. Bukreeva with Sobolev never found.